John P. Fisher G 16th Tennessee Jan. 24, 1863 Right Arm Amp. Copied from War Department Records Group 109, Reel 38 of 145, “Confederate POW’S forwarded to Nashville, Tennessee from Murfreesboro, Tennessee, 1863”, National Archives Publications, “Selected Records of the War Department Relating to Confederate Prisoners of War, 1861-1865″, Register of Prisoners, Vol. 104, Department of the Cumberland, Nashville, Tennessee.” Tennessee State Library & Archives, AC#1044. Researched and transcribed by Tim Burgess, 1997-98. 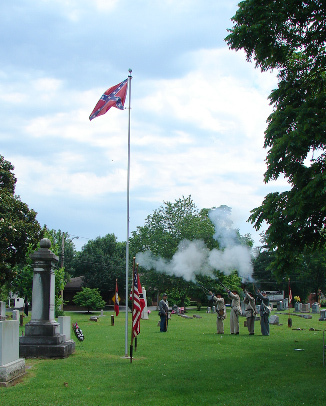 Names appearing in bold print are inscribed on the Confederate Monument, Confederate Burial Section, Evergreen Cemetery, Murfreesboro, Tennessee. (1) Brother, Daniel B. Alexander also mortally wounded and captured and died in Nashville, Tennessee on Jan. 30, 1863.